If you live somewhere, you are bound to have someone around, like a spouse or a parental figure, who expects you to do chores. Chores are things that no one wants to do. Things like mowing the lawn, washing the car, grooming the dog and exercising the children. When you are expected to do chores, it can make all of your free time feel bad. Who wants to feel bad all the time? How can your spouse or parental figure expect you to use your sitting-around-eating-and-consuming-electronic-information time for cleaning the gutters, organizing the basement or doing the laundry? The good news is that, by using these foolproof and intelligent-sounding excuses, you can slay the dragon of your spouse or parents’ performance expectations and avoid doing chores forever. No spouse or parent can expect you to do a chore if you are on fire. And fires are extremely easy to set, especially if you have any hair on your body. Sacrificing even the smallest amount of hair to get that nasty burnt hair smell in the air is well worth the effort if it allows you to continue lying on the couch with your sandwich. The truth is that expecting people to do chores is psychologically damaging. Such unrealistic performance expectations as “doing chores correctly” and “within a specific time frame” is sure to cause social disturbances and will make people engage in antisocial behavior, like lying and self-medicating with junk food. One of the best ways to get out of doing a chore is to take your spouse’s or parent’s own thoughts and turn them around. Parents and spouses are always going on and on about “all of the racket” in the house. If they can’t even think with all of this racket, how are you supposed to get these impossible (and potentially harmful!) chores done? There are people living in the closet. They are exceedingly small people and they speak to you all the time. They tell you where your spouse or parental figure has hidden all of the chips and pizza bites. They know the Wi-Fi password. They know everything! Be careful! They tell you everything the others do. 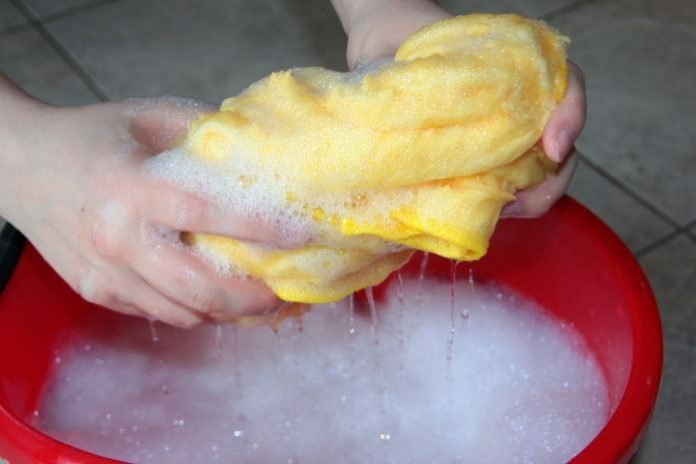 Spouses and parents understand that the home can never be in an actual state of cleanliness and order with the kids or their parents lying around all the time. Again, all you have to do is make your spouse or parent aware of the reality of the situation — that you should never be expected to do anything — and you will be golden. Previous articleWhat’s Something You Should Never Have To See Happen In Public?